Dr. MacQueen sees his job as an Infectious Disease specialist as a privilege in which he helps to diagnose, treat, and care for patients in and out of the hospital and provide primary care for people with HIV. He is the Medical Director of Cayuga Medical Center’s Antimicrobial Stewardship Program and the Infection Prevention Program. 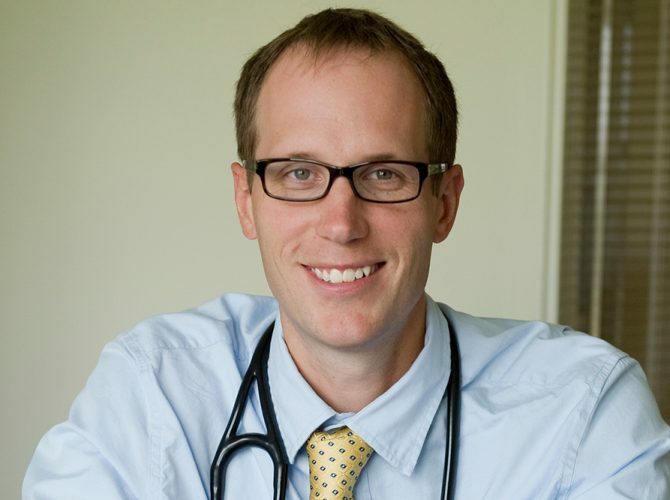 He also serves as the Tuberculosis Consultant for the Tompkins County and Cayuga County Departments of Health and a collaborator with the Northeast Regional Center for Excellence in Vector-Borne diseases and collaborate with the Infectious Diseases division at Weill Cornell Medical College where he is a Clinical Instructor in medicine. Dr. MacQueen attended college in Ithaca and is happy to be back here with his wife Tess raising their children. In his free time he takes advantage of the great outdoor opportunities here hiking, canoeing, fishing, and hunting.